Liverpool are considering bringing striker Fernando Torres, 30, back to the club in January, four years after he left Anfield to join Chelsea. The Spaniard is currently on a two-year loan at AC Milan. 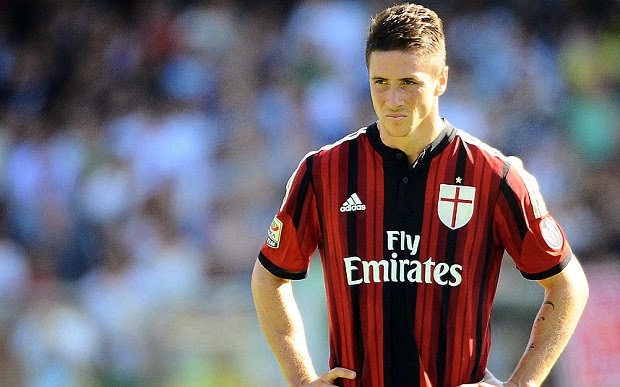 According to Daily Mail - Sunday, Liverpool are seriously considering a January move for Fernando Torres. Another club which is expected to be a competition for Liverpool is Atletico Madrid, which is the club where Torres started his career. Liverpool signed Mario Balotelli for £16million from Milan last summer as their striker to replace Luis Suarez but they seems to be giving up on the gamble. If Liverpool signs Torres to a permanent deal, Balotelli could be moved on loan to Napoli in Janaury.